WISCONSIN NOW REQUIRES A PHOTO ID TO VOTE. The deadline for making application to receive an absentee ballot by mail is: 5 pm on the fifth day before the election, March 28, 2019. 8 a.m. – 4 p.m. Mon.-Fri.
9 a.m. - 5 p.m. Mon-Fri.
8:30 a.m. - 5 p.m. Mon-Fri. Please go to the link below and follow the directions. Click the link above to visit the Voter Public Access website, where you can check your registration status, as well as find your polling place and learn who your elected representatives are. GAB-131 As of January 1, 2006, all municipalities in Wisconsin require voter registration prior to a person being allowed to vote. b) transmits (via fax, email, telephone call or personal visit) his or her driver license number to the municipal clerk before 4:00 pm on the Friday after the Election. 1. BY MAIL: Download the Application for Voter Registration (GAB-131), complete the form and mail it into the municipal clerk's office. Find your Wisconsin Municipal Clerk here. The application must be postmarked no later than the 20th day (3rd Wednesday) before the election. 2. IN PERSON: Register in the municipal clerk's office up to 5 p.m. or the close of business whichever is later on the Friday before the election. Note: After the BY MAIL deadline, an elector registering in person in the clerk's office is required to present acceptable proof of residence as outlined below. If you move your residence or change your name, you are required to update your voter registration information. This is done by filling out form GAB-131 and sending it to your local municipal clerk's office. 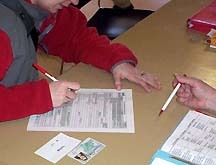 Information in your voter registration record, except your date of birth, driver license number, the last four digits of your Social Security Number, and any special accommodation needs for persons with disabilities, are considered public information in Wisconsin, and may be obtained by anyone making a voter data request. Electors who are victims of domestic abuse, sexual assault or stalking have the option to be listed confidentially on poll lists, and their information will not be released through voter data requests. Click here for more information.  YOU MUST BE REGISTERED IN THE TOWN OF EXETER TO VOTE. Elections are held at the Town Hall at W2998 Hwy 92, Belleville. Polling Hours are 7:00 a.m. to 8:00 p.m. on the day of election. Voter registration is required statewide for all elections. If you are not currently registered to vote or have recently moved, please complete a Voter Registration Application and return the form along with proof of residency to theTown Clerk's Office. Please be sure to include all the documentation as noted on the instructions for completing the Application. When completing a voter registration on Election Day you will need to provide your Wisconsin driver’s license number and proof of residency at the polling place. Contact the Town Clerk's Office (424-1697) for more information on Voter Registration or Absentee Voting. You may also visit the Wisconsin Elections Commission on its website at http://elections.wi.gov/ for election information.  CLICK HERE to view election results through the Green County website.